As one of the first industries to embrace eContracting, the proliferation of digital lending in auto finance continues to benefit all players in the ecosystem. For auto loan originators and lenders, moving to a paperless process allows for significant gains in operational and capital efficiency, while gaining the highest levels of confidence and compliance in a secure digital environment. For dealers, a digital solution accelerates the lending approval process, leading to a better customer experience and higher Customer Satisfaction Index (CSI) score. Meanwhile, lenders appreciate the operational and capital efficiencies afforded by digital processes. By going digital, the underwriting process and securitization of auto loans are expedited without sacrificing loan quality. On the front-end of the financing process, a digitization of the borrower application moves away from cumbersome and inefficient manual, paper-based processes. As with other transactions, today’s consumers expect their auto loan process to be quick and painless. A recent survey revealed that 87 percent of customers would consider an instant loan offer for financing a vehicle if that meant they could avoid dealing with extra paperwork. While eOriginal client MotoLease understood that new paradigm, they looked beyond CSI and looked to take it a step further. They stood out in the powersports market by embracing a true end-to-end digital process in order to capture the full value of lending technologies. Although auto financing has taken much of the spotlight for its innovation, the segment of powersports financing is also evolving, and many originators and lenders are increasing investments in digital capabilities to gain a competitive edge and better engage with the lending ecosystem. MotoLease, the country’s largest powersports and motorcycle leasing company, had a vision to disrupt the powersports leasing market by capitalizing on opportunities afforded by an untapped market: consumers who are underserved by traditional financial institutions. Driven by this vision, the company committed to adopting transformative technology which allowed them to offer unparalleled convenience to customers and a competitive advantage for its 1,000-strong network of dealers. MotoLease’s utilization of digital financial documents has benefits beyond borrower experience. By adopting best practices around eSignature and digital asset management, the company was also able to earn lenders’ trust and accelerate access to capital via revolving credit facilities. eOriginal was an integral part of MotoLease’s digital leap forward, which drove their dramatic growth. 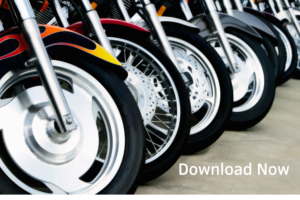 Learn more about how the company captured 75 percent of the powersports leasing market by downloading our case study. This entry was posted in Auto Financing, eContracting, News and tagged Auto Finance.